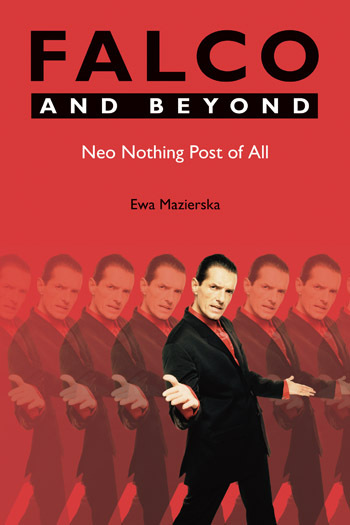 Falco and Beyond is devoted to the most popular Austrian song-writer, singer and rapper of the twentieth century and one of the most successful European singers of all time. Falco was born in 1957, reached the peak of his popularity in the 1980s with songs such as Der Kommissar, Rock Me Amadeus and Jeanny, with mixed luck attempted to revive his career in the 1990s and died in a car crash in 1998. He sold over 30 million records worldwide and remains a successful posthumous artist. The book attempts to identify the most salient and contradictory features of Falco’s art, such as linguistic inventiveness and dexterity, rapping and adopting a posture of a romantic artist. It argues that Falco’s songs betray an apocalyptic imagination, picturing the image of an exhausted and unhappy world. It looks at Falco’s career and his phenomenon in the context of international and Austrian music business and politics, and investigates how his popularity has been maintained after his death, by means such as records released posthumously, cover versions of his songs, mashup songs and videos, biographies and Falco fandom.